One thing the Portuguese brought back to Africa from South America was peanuts. Often referred to as groundnuts, this nutritious plant based source of protein was transplanted in West Africa and it became such an important food that the food culture was yet again transported across the Atlantic during the slave trade. 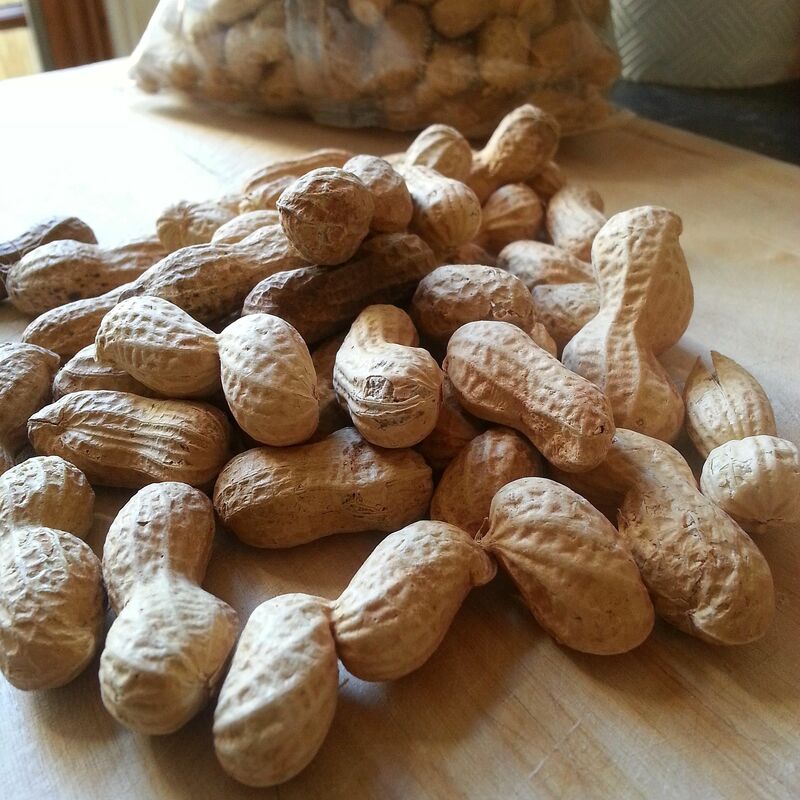 Today the importance of peanuts in African cuisine from the West, Central, Southern and to the East of Africa is unrivalled as it is such an affordable source of protein. This famous and much loved Ghana peanut butter soup can be made with as little or as much peanut butter as you like. It is known in the local Twi language as nkatenkwan and can be made with meat or chicken. Binyebwa is the national dish of Uganda, often served alongside matoke, a green and starchy boiled banana. The traditional sauce is made from red groundnuts and can be eaten on it's own with a little onion and salt, or with added vegetables and salty fish. Cornmeal porridge is the go to breakfast in most African countries and is made in a variety of ways including peanut butter in porridge. It can be fermented prior to cooking, other grains such as sorghum or millet can be used, it can also be cooked in milk, or if plain, sugar and peanut butter can be added. This is a common practice in Zimbabwe. Mutakura is a highly nutritious dish from Zimbabwe made with peanuts and bambara beans, otherwise known as round nuts. There are many variants of this dish across Southern and Central Africa. Yet the common streak is that it is a popular dish in many boarding schools across Sub Saharan Africa. Biltong has by far become somewhat of an expensive delicacy yet in the past biltong was made as a way of preserving meat. Biltong stew is therefore a very traditional dish in many parts of Southern Africa.